Vetta Smart Pasta® Cholesterol Lowering Range has the same great taste as normal white pasta, with soluble oat fibre (Beta Glucan) to lower cholesterol^. It's also 98% fat free. ^As part of a healthy diet low in saturated fat, 3g of beta glucan each day is required to help lower cholesterol re-absorption. 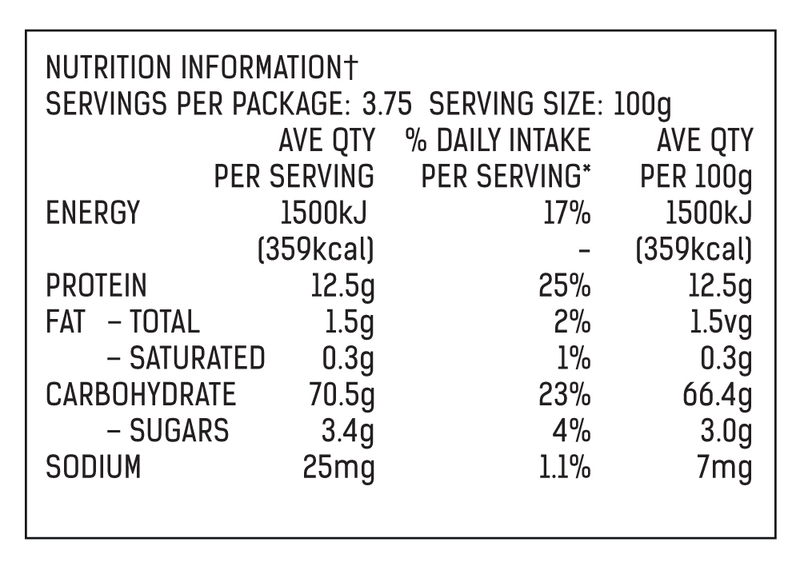 One serving of cooked Vetta Cholesterol Lowering pasta contains at least 1g of beta glucan (from soluble oat fibre).